d) because then you really can’t taste the pumpkin. And if you’re wondering why I’m basically drowning in pumpkin over here, it’s because the can that I was forced to buy during The Great Pumpkin Shortage of ’16 was a whopping 28 oz… which is 2x the size of the cans I normally get. I froze some of it just to give myself a little extra wiggle room, but I’d still like to use that up before I forget about it and find it buried in the back of my freezer exactly one year from today. So now that you know the how and why behind these flourless pumpkin brownies, let’s talk deets. These brownies are based off the recipe for my flourless chocolate pumpkin muffins, with a few tweaks to make them more… err… brownie-like. First, they’re baked in a square baking pan rather than a muffin pan. And I promise I’m not trying to go all Captain Obvious on you, but I needed some sort of segue into baking pans because I recently learned a few things about those suckers that I think is pretty useful to know. See, I test all of my recipes using metal baking pans*, so you might get significantly different results if you use glass and/or silicone. The reason for this is that glass isn’t really a great conductor of heat so it takes a longer time to heat up and a longer time to start distributing the heat into whatever’s inside it. BUT! it also holds heat a lot better than metal, which is great if you’re cooking something wet like a casserole that needs to stay nice and warm after it comes out of the oven, but not so great for something like flourless brownies. That’s because the hot glass will cause the edges of the brownies to set a lot faster, while not necessarily transferring the heat properly to the centre. SO! 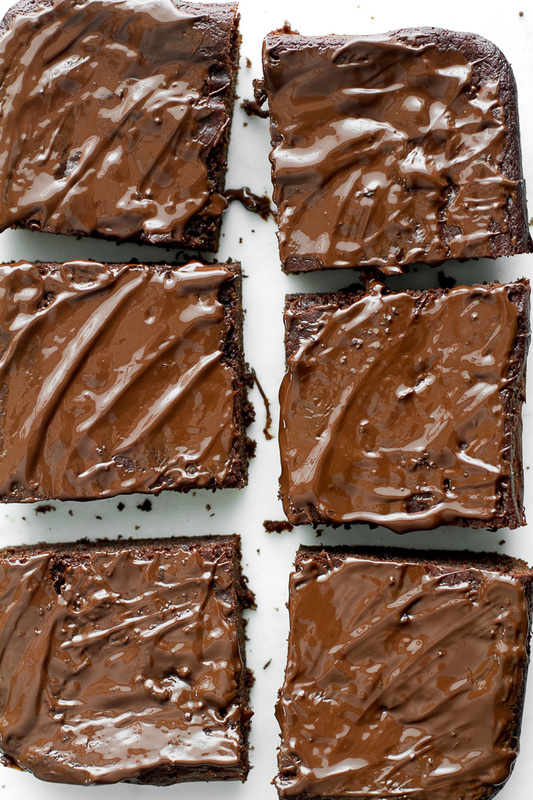 you might end up with brownies that burn around the edges but stay gloopy in the middle… and no one wants that. Or not. It’s your call. I actually wasn’t planning on topping them with anything myself, but I forgot to add the chocolate chips to the batter before I put them in the oven (oops), so I figured I’d melt them and put them on top instead. 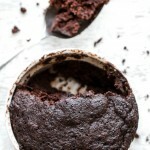 That turned out to be a brilliant mistake, not only for the increased chocolate factor, but for the textural perfection that comes from a slightly crisp shell contrasting with a soft brownie. 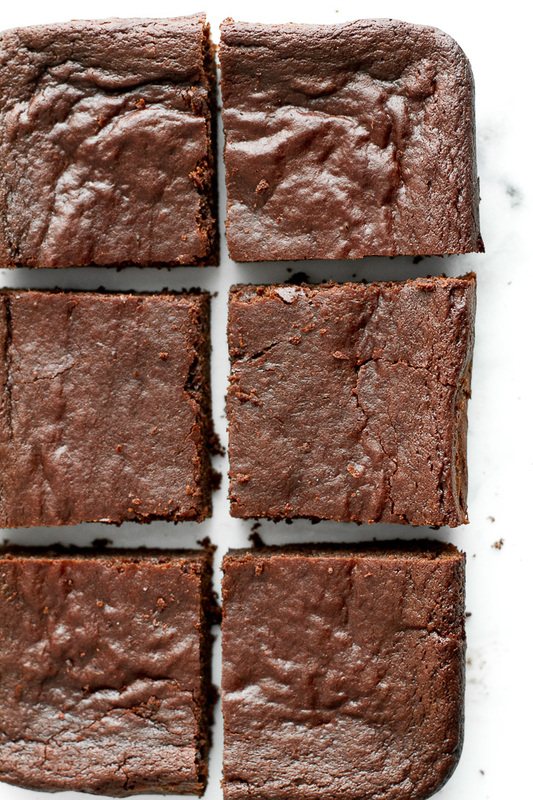 As for the brownies themselves, they’re not quite as dense and fudgy as traditional brownies, but they are grain-free, oil-free, refined-sugar-free, super easy to make, and rock some pretty impressive nutritionals as far as desserts go. Definitely a delicious way to use up that pesky pumpkin. I’d love to know if you make this (or any!) recipe! 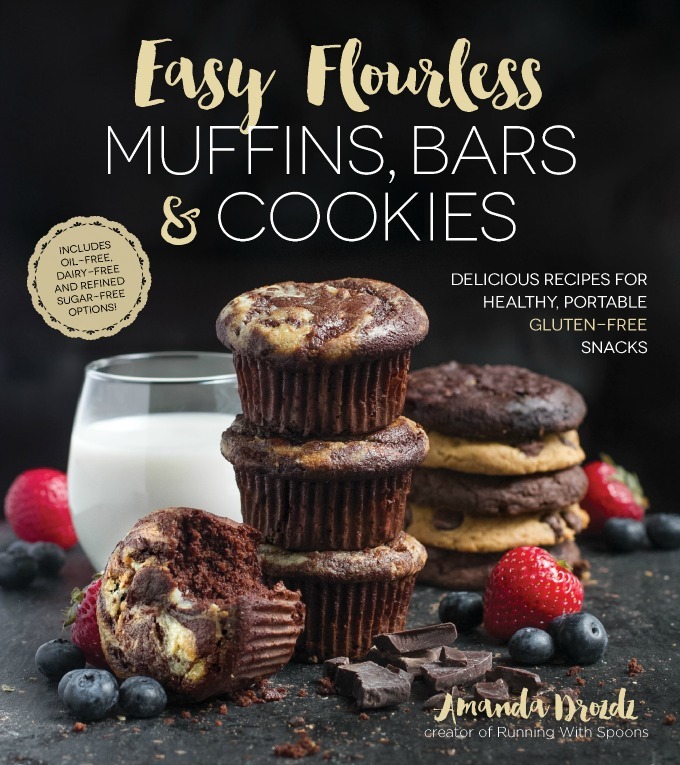 Tag @runwithspoons on Instagram and Twitter, and be sure to subscribe to our mailing list to receive more healthy and delicious recipes straight to your inbox! Preheat your oven to 350°F (176°C) and prepare an 8 x 8 (20 x 20 cm) baking pan by lining it with a sheet of parchment paper, leaving a few inches of overhang on the sides to allow for easy removal. Set aside. 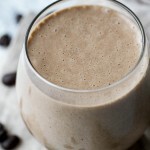 Add all the ingredients except for the chocolate chips to a high-speed blender or food processor in the order listed, and process on high until the batter becomes smooth and creamy. Pour the batter into your prepared baking pan, using a spatula to distribute it evenly. Bake for 25 - 30 minutes, until a toothpick inserted into the center comes out clean. Remove the brownies from the oven and let them cool in the pan for about 15 minutes before transferring them to a wire rack to cool completely. If you want to add the melted chocolate topping, place the chocolate chips in a microwave-safe dish, and nuke them in 30 second intervals until they're completely melted. Then, pour the chocolate over the brownies and use a spoon or spatula to spread it around. Store the brownies in an airtight container at room temperature for up to 5 days. * I like using almond butter because of its mild flavour, but you can sub it out for whatever nut butter you have on hand. 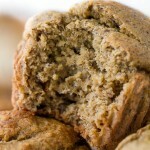 Or, use a soy nut butter to make these nut-free. 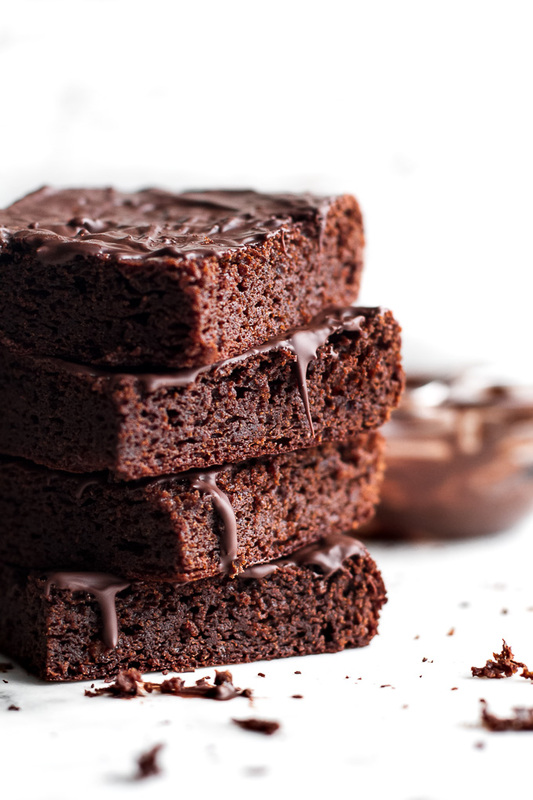 Looking for more healthy brownie recipes? Try one of these! 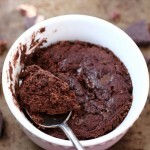 4 Ingredient Flourless Protein Brownies via The Big Man’s World. The Ultimate Unbaked Brownies via Chocolate Covered Katie. Do you use metal or glass baking pans? How about ovens? Electric or gas? 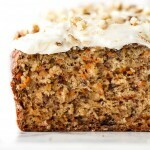 I practically leaped out of bed when I saw the email for this recipe! 😀 Absolutely DIVINE! I’ve always used metal baking pans and have never had any issues with them, although I do want a glass 9×13! Drizzle all the way 😉 Seriously you will laugh when you see my “drizzle” AKA puddles chocolate! They look awesome! Puddles > drizzles when chocolate is involved. I can’t wait to see yours!! This is very true! And I think I’d enjoy it more if I could find my favourite brand. Hopefully the big holiday rush is over and it’ll stay on the shelves for longer. My dad seems to really like flourless goodies; they aren’t as doughy as some baked goods; I think maybe these will be on the list for tonight’s dessert! Thank you for posting this today Amanda! 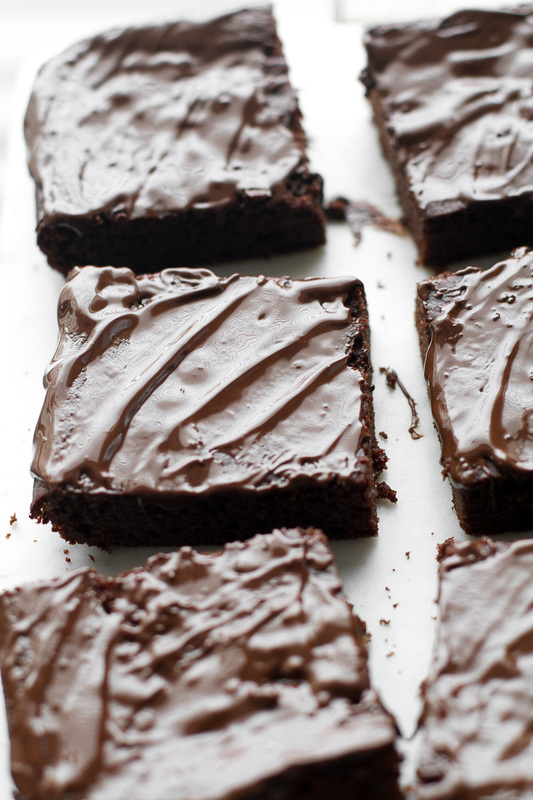 You are definitely the brownie queen! I use metal pans mostly. Hey Amanda, remember me from the flourless pumpkin brownie debacle a few weeks ago? You kindly suggested that the reason my last batch of brownies turned out too squishy was the fact that I baked them in glass vs metal. 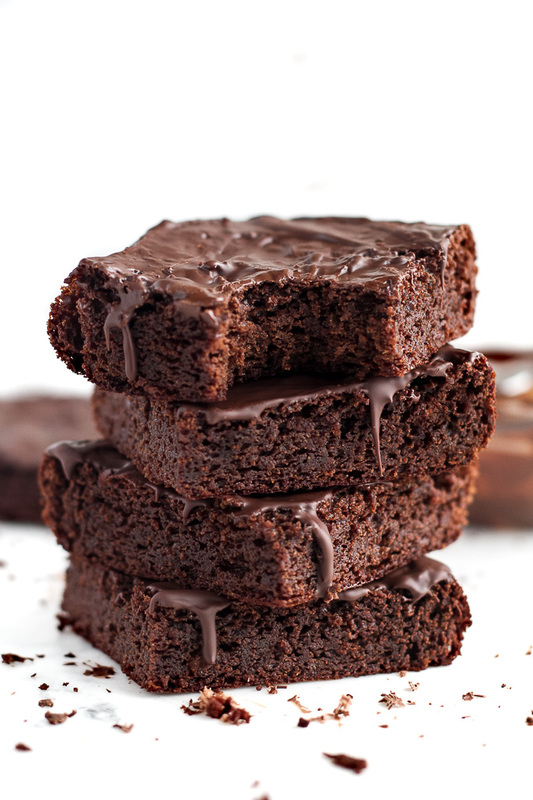 Well…I just made this recipe and the only metal baking dish I had was for muffins, so I used that thinking they could be two bite brownies; OK, maybe four bite; OK, maybe one bite rammed into my mouth because these turned out AMAZING!!! Instead of chocolate chips, I had some dark chocolate sea salt caramels I wanted to use up, so I chopped those up and added them to the top of the brownies before baking. Oh sweet mother of pearl – delicious!! Thank you for your advice and the intro to this recipe explaining glass vs metal. You’ve converted me to a metal head for sure! I totally remember, Rose! That was actually the reason I looked into the whole metal vs. glass baking dishes more closely, so thanks so much for the lesson 🙂 And are you kidding me with the sea salt caramels!?!? Oh.my.GOD that sounds amazing. This is the part where I wonder why I don’t have any of those hanging around my kitchen. And thanks so much for the tip about freezing pumpkin! I can finally put my ice cream scoop to good use, since I usually just eat mine straight from the tub with a regular spoon 😆 Happy Saturday, Rose! Me again, just thought I’d pass on a tip: for leftover pumpkin, I use a large ice cream scoop and place each scoop on a baking sheet and freeze. Once frozen, I take them off the sheet, and put the “balls” in a plastic freezer bag for use when I need it. Two scoops equal 1/2 a cup exactly. Thanks for the compliment, Jenn! I actually do this with a lot of things (maybe ’cause I’m a little lazy, maybe because I like to have things ready at hand when I need them). A couple of things that come to mind: caramelized onions (to add to pizzas, or in quesadillas, etc.) because they’re kind of time consuming to make, waiting for them to caramelize, and a big batch of oatmeal. When I need these kinds of things, I just pop them into the microwave to thaw and then use them. 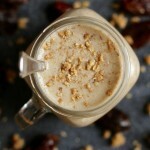 The oatmeal especially makes for a healthy, quick breakfast. I see so many recipes lately that use nut butter. (I do see you have a soy butter alternative). However, is there anything else I could replace it with? First, what ROLE does it play? (i.e., what does it replace compared to traditional brownie recipe?) Is it used in place of butter/oil? Another egg? Other? Could I use part butter (or coconut oil), and an egg, or applesauce, or pumpkin, or banana? Or avocado? I prefer not to use nut butter, and am allergic to soy. And any way I can reduce calories is amazing! Thanks! Hi Shawna, since these brownies are made without flour, the nut butter takes the place of the flour + oil combo to give them structure and moisture. I wouldn’t use regular oil or butter since those would be too oily and the brownies probably wouldn’t set properly. You can try subbing in a banana, but I haven’t tried it myself so I’m not sure how it would work. If I didn’t know any better, I’d have no idea pumpkin was in here, and that makes me happy. Although I do have a pumpkin on my counter which I need to use at some point. These looks so good and I personally love to sneak in some veggies anywhere I can! I’ve never tried pumpkin in brownies before, so something tells me that I should try making this recipe. And any dessert that seems acceptable to have for breakfast as well is right up my alley! I may be slightly biased, but I think you would like them, Emma 😉 Have a great rest of the weekend! OMG. I had an amazing comment to write but I need to message you instead. These are DELICIOUS! I added a couple of shakes of pumpkin spice. I can’t stop eating them! 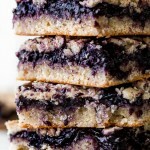 Can I bake these using a cast iron skillet, like corn bread? I haven’t tried it myself, Christine, and I don’t have a lot of experience baking in cast iron skillets, so I can’t say for sure. Sorry! Hi Amanda!! 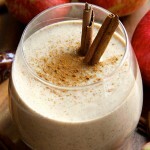 Love your blog and recipes!!! Omg!! Just made these and they are the BEST!! I used a flax egg, added chocolate chips inside & then when I took them out put more on top to spread around til they melted and then hardened. So beyond yummy, fudgey and great!!! Thanks!! 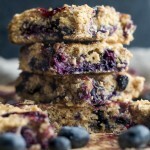 I made them once as written (but used peanut butter instead of almond because it’s all I had at home) and no chocolate chips because I’m trying to stay away from refined sugars) and I thought they were pretty good but my husband wanted them to be more moist and my son wanted them to be sweeter. I think they were expecting traditional sugar and fat laced brownies. I just made them again tonight but we added a banana for a little extra moisture and natural sugar and then I mixed up some peanut butter with a bit of honey and vanilla almond milk to thin it out and added a tiny scoop to the center of each brownie before baking and they went over much better with the men folk this time! Delicious! They are so good no topping is needed. Can I make this with stevia instead of honey? 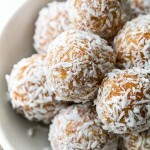 Hi again, just made these with stevia and sprinkled coconut flakes on top. It turned out well – tastes like chocolate cake 🙂 Although next time I’ll try with honey or…would maple syrup work? These are so delicious! I just add the chocolate chips in the batter instead of on top! Yummy! I’ve made this recipe twice already — it’s the best recipe for flourless brownies, and they turn out DELICIOUS. Omg, made them into cupcakes. Best g-free, sugar free that I’ve ever had! Hi! How would you adapt this recipe to someone who doesn’t have access to pumpkin purée? I assume it’s easy to make, no? Have you every tried? Just had to say this is my go-to recipe for brownies.I know know it by heart and have made them many times. So happy to have a tried and tested yummy and safe dessert for my sensitive guts! Love your recipes! Thanks do much!! Just made these for Thanksgiving but I couldn’t wait and had a few–They’re delicious! Great recipe! 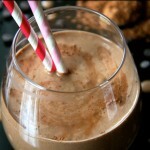 Can I using dutch cocoa powder to sub with natural cocoa powder? Just made these this weekend. I had just made some with stevia and they were awful. I decided to try again and found your recipe! I didnt have pumpkin so I replaced with an equal amount of mashed banana and they were delicious! Everyone ate them right up! Thanks so much for this recipe. It is delicious and just what I was looking for! 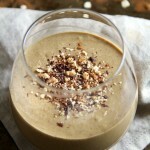 So many low carb dessert recipes have almond flour and I am not a fan of it. I am doing keto and to make it a little more keto friendly I substituted the honey for 6TBSP of Swerve mixed with 1/4 cup of water. Do you think I could substitute the pumpkin for avocado next time to add more fat and decrease the carbs? They turned out more cakey than fudgy and a little dry, I think 25 minutes was too much for them I would start checking at 20-22 minutes next time. I love that they come out so clean, they don’t crumb a lot like cakey but are so easy to cut and shape they’re almost spongy.